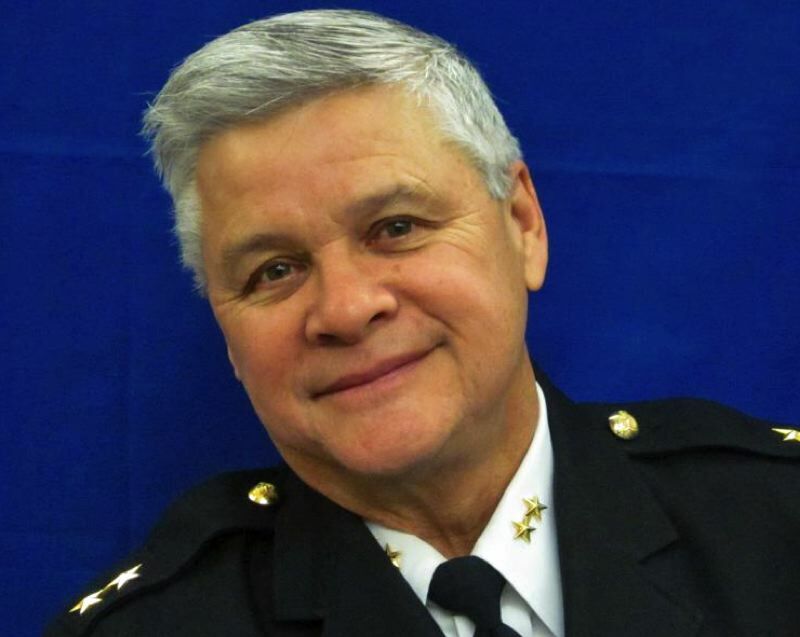 Longtime law enforcement leader sees value in maintaining Oregon's 'sanctuary' status. Community safety is top priority for law enforcement officers. That's why I'm urging voters to reject Measure 105, which would get rid of Oregon's anti-racial profiling law. Good policing isn't just about responding to 911 calls; it's about being a resource to help identify issues and solve problems before they escalate. It's about being someone whom the community feels comfortable turning to for help when they have been victimized, or when they witness a crime. That's why, when I heard about the effort to eliminate Oregon's 31-year-old anti-profiling law, I felt the need to speak out. If we eliminate this law, we'll lose the trust we've worked so hard over decades to build — and in turn, local communities will become less safe. Please vote "no" to keep this law in place. Let me give you an example of how working to build trust with communities makes a difference. We do a lot to build trust with communities because when people trust the local police, they'll turn to us when they need help, report crimes, testify in a trial and more. I can remember one time when local nonprofits and corporate partners worked to provide laptops and technology to local Latino youth in the neighborhood. We had police officers help out, and I recall more than one occasion sitting down with parents and grandparents who were so very proud of their child being able to navigate these new computers, but also nervous of the uniformed police officers in the room. Their excitement of seeing their children playing on the new devices, and seeing how local police helped make this program possible, overruled their fear of police. They began to trust us. As time went on, these community members felt more comfortable approaching us, and with every interaction they were able to see that we were there to serve as a resource. This experience and others like it showed me how community policing, particularly within marginalized communities, provides much needed resources and increases trust, solves problems, and makes us all safer. But Measure 105 would erode that trust, and that's exactly why, to keep communities safe, we must vote "no" on Measure 105. When local police begin to do the work of federal immigration agents, people no longer feel safe calling us for help, crimes go unreported and witnesses do not come forward. Measure 105 is bad public policy and will hamper law enforcement from effectively providing public safety services. As police officers, we're trying to build bridges with people living in fear, not erode them by making them more afraid. If police officers serve the role of ICE agents, their ability to deal with issues such as domestic violence and crime prevention will be severely curtailed. Under current law, we can already hold people accountable who commit crimes and harm our neighbors — while also providing important civil rights protections. The current law keeps local police focused on local communities. We shouldn't divert Oregon taxpayer money to do the job of federal immigration enforcement. That's why, to keep communities safe, I urge you to vote "no" on Measure 105. Ron Louie has more than 33 years of law enforcement experience, 20 of which were spent as police chief of Astoria and Hillsboro. He is now retired, with residences in both Hillsboro and Astoria.